Here is a Special Link to 2001 Graduates Guestbook . . . 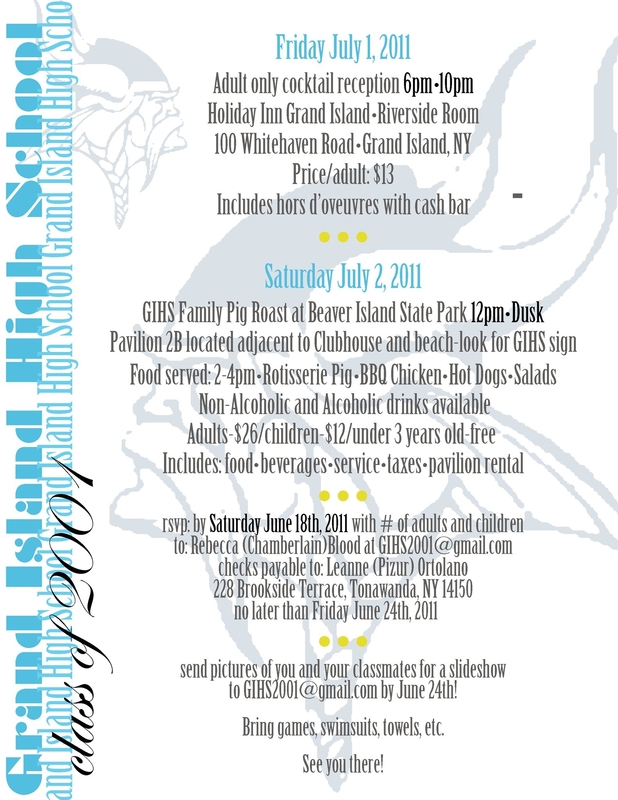 The Grand Island High School Class of 2001 will hold its 10-year reunion on Friday, July 1 and Saturday, July 2. For complete information click 2001 Class Reunion.